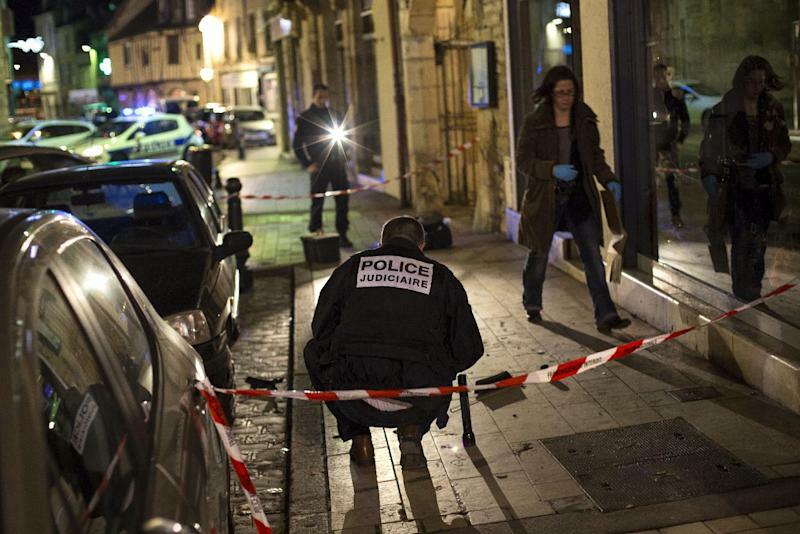 Dijon (France) (AFP) - A driver shouting "Allahu Akbar" ("God is greatest") ploughed into pedestrians in eastern France Sunday, injuring 11 of them, just a day after a man yelling the same words was killed in an attack on police officers. "The man, born in 1974, is apparently unbalanced and had been in a psychiatric hospital," a source close to the investigation told AFP, adding that "for now his motives are still unclear". "Nine people were lightly injured and two others seriously but their lives do not appear to be in danger," the source added. Witnesses told police that the driver shouted "Allahu Akbar" and "that he was acting for the children of Palestine", a source close to the investigation said. On a street in the city centre traces of blood and attempts by authorities to cover it up with sand could be seen, AFP journalists there said. Nearby, victims and their families were being cared for at a hospital. Dijon prosecutor Marie-Christine Tarrare refused to comment when contacted by AFP. 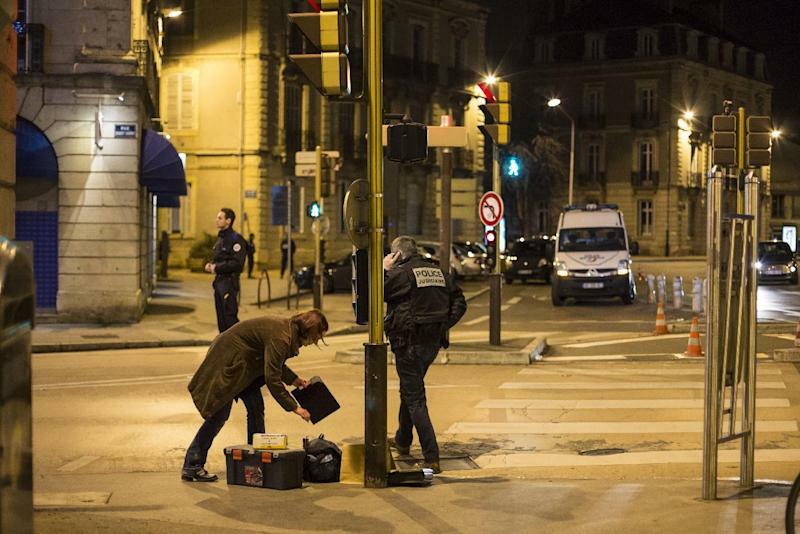 Prime Minister Manuel Valls took to Twitter to express "solidarity" with those injured in the attack. 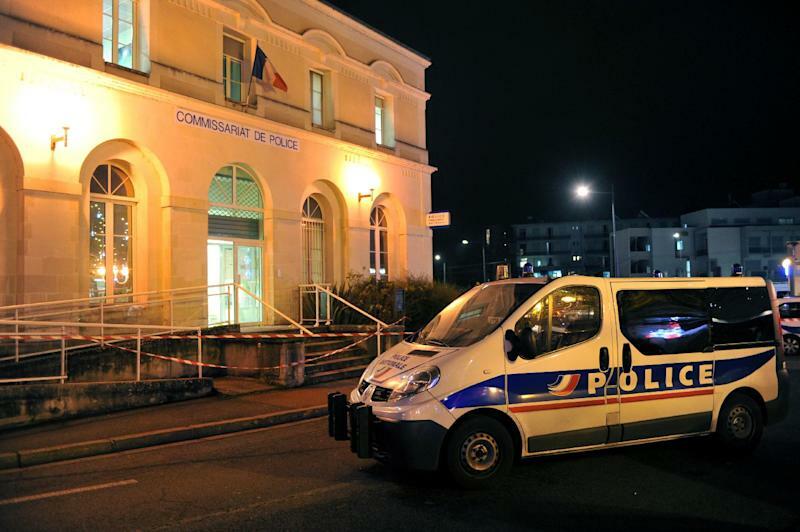 France is still reeling from a suspected radical Islamic attack on Saturday that saw a French convert to Islam shot dead after attacking police officers with a knife while also reportedly crying "Allahu Akbar" in the central town of Joue-les-Tours. The assailant, Burundi-born French national, Bertrand Nzohabonayo seriously injured two officers -- slashing one in the face -- and hurting another. The 20-year-old attacker also cried "Allahu Akbar" during the assault, said a source close to the case speaking on condition of anonymity. The anti-terror branch of the Paris prosecutor's office has opened a probe into that attack, with the line of inquiry focusing on whether it was motivated by radical Islam. The weekend incidents in France come as governments around the world brace for so-called "lone wolf" attacks by individuals returning from waging jihad abroad, or who are simply following Islamic State group calls for violence in the countries involved in a coalition fighting the militants in Iraq and Syria.